I’m confident that The Last of Us will be sweeping up more than its share of awards this season, so understand that this isn’t an attempt to be contrary. If I’m criticising BioShock Infinite for propping up an ambitious storyline with flawed gameplay, it’s only fair that the current darling of Naughty Dog’s ‘dedicated’ fan base gets the same treatment. The Last of Us suffers from gunplay that hasn’t really improved since Uncharted, occasionally frustrating stealth mechanics, a poor final act, and generally fell foul of my boredom with the whole zombie thing. But enough criticism. This is a celebration. Like BioShock, this game hangs an impressive storytelling achievement on that somewhat uninspired skeleton. The Last of Us’s story is downright brave, hitting an early high with its opening sequence and peaking with the horrific winter chapter. The performances of its cast put most games to shame, both in the work of the actors and how they’ve been rendered digitally. 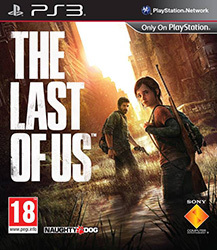 In that respect, The Last of Us is the fulfilment of the promise that Uncharted showed within Naughty Dog. The characters are likeable, subtle, understated. They’re like actual human beings. It’s only my opinion that the actual game side of things lets down the achievements elsewhere that keeps TLOU out of the highest echelons of my list. And if it wasn’t for the need to counteract the more enthusiastic cheerleaders out there, this entry would appear more flattering than it is.